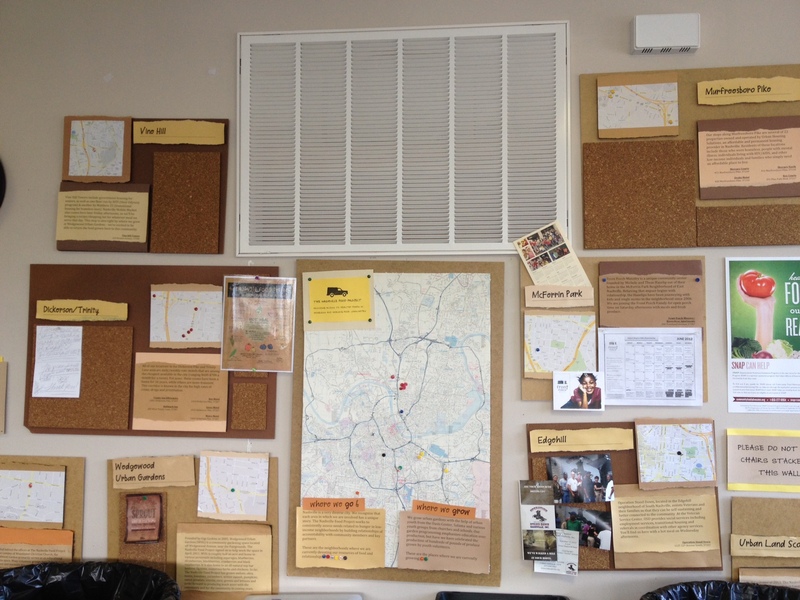 I had the idea for Mission Memphis long before I had it planned, shared it, or knew its name. In that regard, Volunteer Bound is very similar. A week ago, all I had was an idea, a few believers, and a plane ticket to Portland. As I write this, I’ve just settled into Portland and I’ll be leaving here in less than 36 hours, which makes this the longest stop on our volunteer adventure. I’m so excited to be making this trip with Rebekah Kioschos, one of my very favorite people. Rebekah (who will blush when she reads this) is one of those people who can fill a whole house with light and happiness. Imagine what she can do to a small car! Rebekah is bringing her dog Cornelius as our official mascot and the three of us will be off on our great adventure tomorrow morning. Our gracious hosts in Portland, the Storm Family, have put us up in their wonderful home. It’s a little crazy – two in-laws, two parents, three dogs, four boys, Rebekah, me and a partridge in a pear tree, but it’s full of energy and warmth compared to the damp and foggy Portland. I just told Rebekah that I’m sad to leave this incredible family and this really comfortable bed. Here’s part of the adventure: right now, I don’t know where I’ll be sleeping tomorrow night. Here’s the thing – I don’t know where we’ll be sleeping, but I know that we will have a warm bed in a safe place, which makes us more fortunate than many in our country. Until now, Memphis has been my bubble and even within Memphis, I stretched way beyond my comfort zone with the hopes that I could create positive change. As an introvert, it’s exhausting to spend 30 days in a row at a different place, with a group of strangers, doing something I’ve never done before. With that in mind, it is simply amazing what transpired. Each new place became familiar. Now when I drive past one of these places, it’s no longer strange and foreign. I’ve learned so much about my city. The group of strangers I met became friends and familiar faces. But most importantly, my own stereotypes and reservations are steadily melting away. I have been trying to predict what this trip will hold, and again, I’m totally out of my comfort zone. I’m away from home in December and I really hate the cold. Apparently we’ll need snow chains for Idaho, which is uncharted territory when you grow up in the South. Most days include volunteering, every day includes drive time and each journey means talking to new people, going new places and having your beliefs challenged. Here’s something important that I’ve learned: All the good stuff happens outside your comfort zone. The incredible and inspiring thing is that everyone who learns about the project wants to talk about it, share their volunteer experiences, and follow along on the journey. Even in the airport, someone asked why I was going to Portland and as I was explaining the trip, I realized that everyone around us was listening. Most people ask if I’m doing this as a school project. When I say no, they ask where I’m working and who I’m doing this project for. I tell people that I believe this is important and I’m just finding a way to make it happen. I explain that I’m doing this project for everyone so that every potential volunteer will be inspired to give back and change the community. We need to be reinvigorated and to care about something beyond our own lives. Because here’s the thing – this project is not about me. It’s about you. If you like our work, please support Volunteer Bound on Indiegogo, Facebook, or Twitter. I’d like to challenge the term “homeless people.” Instead of thinking of them as homeless people, I ask you to think about them as people who are currently homeless. As long as we continue to define people by their current situation rather than their potential we will mistakenly attribute blanket stereotypes and erode their hope for something better. The Hospitality Hub is in the core of downtown Memphis. If you’re like me, you’ve probably driven past that building 100 times and never noticed it. If you’re homeless in downtown Memphis, you know exactly where it is and how long it will take you to get there. Kelcey Johnson met me in the back parking lot, walked me to the front of the building, and pushed the bell next to the door. We entered the small lobby and made our way through the narrow halls to the back room where the counseling intake happens. I studied Kelcey and noted that he could probably keep order pretty easily. He seems formidable…until he smiles. I bet Kelcey is full of surprises. As Kelcey showed me around the Hospitality Hub, he talked about the services they provide for their clients. He said that they connect people with housing and job training to help people prepare for and find jobs so that they can get out of their current cycle. He mentioned several of the organizations they work with to place their clients and I was surprised to learn that one such group is Trident Seafood in Alaska. If you’ve ever watched the show Deadliest Catch, you’ve probably heard of Dutch Harbor where the fishing boats offload their crab catch. So far, Hospitality Hub has placed two of their clients at this location and it seems to be a great match – on top of good money, the employees receive room and board plus clothing from their employer. As Kelcey showed me around, he pointed out the lockers they offer for the guests explaining that you can’t show up to a job interview carrying all of your worldly possessions. You’d either have to take it in with you, which I would imagine definitely hurts your chances of landing a job or you’d have to hide it somewhere and hope that no one steals it in the mean time. It seems to me like it would be pretty hard to be confident during the interview if you’re carrying trashbags full of your clothes. If you decide to go the route where you hide your belongings, for me it would be really hard to concentrate knowing that the last of my worldly life might be stolen while I’m trying to plead my case for a job. If your home is like mine, you’ve got a lot of stuff. What of that is really important to you? If you could only keep what you could carry, what would you take? Important papers like birth certificates and passports? Would you hold onto pictures? How much clothing would you carry around? It must be cumbersome to lug your winter coat through Memphis when it’s 100 degrees outside. Would your guitar make the list? During my time at the Hospitality Hub, I shadowed volunteer intake counselor Sandra Chandler, which is how I met the very interesting man with a voice made for radio – Mr. Marcus Clark. According to Marcus, he was laid off from his job in October, which was enough to force him out of his apartment. As Sandra walked him through the intake process, he “yes ma’am’d” and “no ma’am’d” his way through the interview questions. When she asked his birthday, I noticed that he was only a few years older than me, which made me feel inexplicably sad. I still harbor my own stereotypes even though I try not to. But little by little, like today with Marcus, those perceptions are slowly changed. After Marcus answered Sandra’s questions I had an opportunity to talk with him and learn more. Marcus has had a hard life in many ways and he talks about all the loved ones he’s lost over the years. He told me that he’s working on a degree in computer technology and that he eventually wants to open his own business. He also talked about why material possessions are not important and how crazy it is to see people trampling each other on Black Friday to get “stuff.” Marcus had a great idea “I’d love to see ‘Black Friday’ commercial about helping others. ‘Hurry hurry hurry! Today only! Here’s your opportunity to get up early and go help someone else! Don’t miss out on your chance to be part of something important.‘ That’s what I’d like to see,” he told me. I’d like to see that too! Maybe I can get Marcus to lend his booming voice for the commercial. I loved talking with Marcus. I wish you could meet him too. Kelcey and I talked about reasons that people become homeless and he said, “People are homeless for as many different reasons as there are flavors of candy, but ultimately many people end up in this situation because they’ve made bad long term decisions and burned all their bridges. If you [Kelcey was talking about me specifically] lost your job, had your house burn to the ground and had your car break down, you still wouldn’t end up on the street. Even if the same thing happened to your parents at the same time, you’d still be ok. Many of us have 20 layers of support – lots of safety nets – so that we don’t end up here, but many of these people have long since lost their relationships.” Kelcey explained that as part of the intake process they always ask for an emergency contact number “and you’d be amazed at the number of people who can’t give me a single name.” He said that he’d try to clarify and explain that they’ll only reach out to their emergency contact if it’s a true emergency like being hospitalized. He said that many people still say there’s no one to call. They’ll respond, “I can’t think of anyone who could care if I was in the hospital.” I stopped writing. “Can you imagine that?” Kelcey asked me. I can’t. I can’t even begin to imagine how lonely it must be to believe that there’s not a soul in the world who cares if you live or die. After Marcus left, I talked with Kelcey and told him about the gift bags my family made on Thanksgiving Day, which he said was a great idea. I asked if they could put them to good use and as I’d hoped he said, “Ya we can!” I marveled at his enthusiasm for a few bags filled with socks and food. I stopped for a second to reflect on how much I’d learned this morning and how much Kelcey sees day in and day out. I wondered about his work and asked if it was hard to do this job. Kelcey said, “Job’s easy. Sleeping at night is the hard part.” For the second time that day I stopped writing and looked up at Kelcey. Kelcey walked out with me to pick up the gift bags from my car and on the way I complimented him on not only the range of programs, but also that many of their services are designed to help people create better lives. He nodded and said, “Our goal is to help people permanently exit homelessness.” I’d never heard it put that way before, but I think it’s the perfect explanation and should be something that we all strive to achieve. You can sign up to be an intake counselor, where you get the opportunity to interact with the homeless of Memphis – connect them with housing, employment services and provide hope. Make a financial contribution. Your money goes a long way! A women’s shelter (While I was there, a woman and her son came in and did not have a place to stay. It’s incredibly difficult to find a shelter that will accept a female and a teenage male child. The few shelters were full and unless a church or individual would donate the funds for night, this woman and her son are sleeping on the streets tonight). Did you know that 39% of children in Memphis live in poverty? That means more than a third of our children worry about things like having a warm coat and getting enough food each day. According to Therese Guistatis at Catholic Charities of West Tennessee, that’s twice the national average. In June of this year, Catholic Charities started a Mobile Food and Clothes Pantry, which visits four different churches in the Catholic diocese (which includes all of Memphis and over to Jackson, TN). 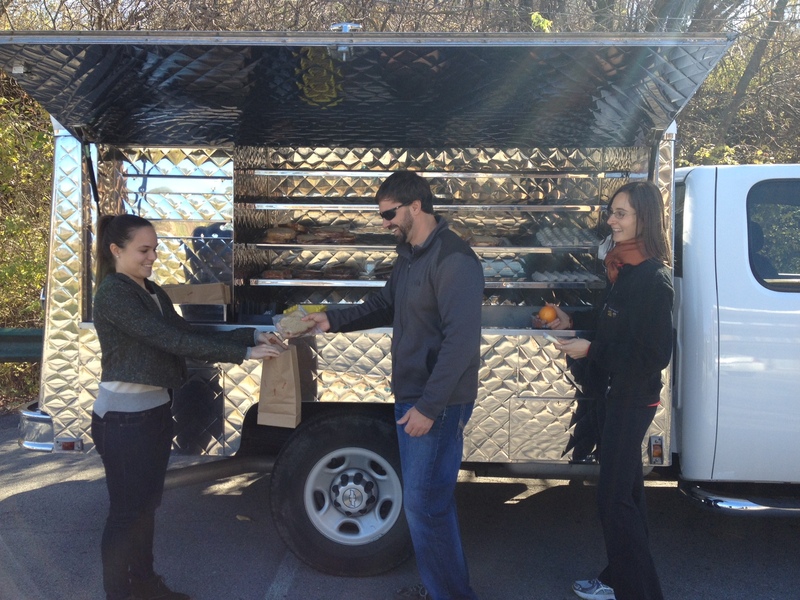 I love the idea of a mobile pantry for many reasons. First, there is a lot of poverty in the suburban and rural areas of Memphis, but most of the services are located in or near downtown. It can be difficult for families to access these resources because of the travel involved and because many of these places are only open during regular business hours when people are working. Providing a mobile service in the late afternoon means that Catholic Charities will be able to reach more people across the Memphis area. I joined this incredible effort on their visit to Resurrection Catholic Church in the Hickory Hill area of Mendenhall and had an opportunity to learn about their mission and the families that they serve. The food pantry efforts in this area go to serve many families in the Hispanic community who attend Resurrection Catholic School, which is one of the Jubilee Schools in the Memphis area. I talked with the school’s principal Stephanie Anderson and asked how the food pantry has made an impact. She explained that many of the families told her how grateful they were – not only for the fact that they were receiving food, but that the food pantry team made an effort to provide food that was familiar to the community. The team went to the school and church to find out what types of foods are most wanted in the Hispanic community and they try to tailor the food offerings based on the families’ preferences. The Hispanic community is unique in several ways. Most of the families were very quiet during their visits and I got the impression that they did not want to be asking for help and were somewhat embarrassed to be receiving food donations. Mrs. Anderson confirmed this for me and explained that most of the families strongly desire to be self-sufficient and to provide for themselves. They see asking for help as a short coming and they’re very quiet about it. In an effort to be sensitive to their desire for privacy the food pantry sets up shop in a side parking lot well after the students have been dismissed from school for the day so that the parents and families have a little more discretion about picking up the food. I was talking with some of the volunteers and they all spoke of how frugal and hard working the families are. As Mrs. Anderson described, the team makes an effort to select foods that the family is most likely to use. Back in the summer, they noticed that some of the families would return food if their family was unlikely to use it so that it could benefit another family in need. “They have a strong sense of community and they don’t want to waste anything” one of the volunteer told me. Within seconds of that statement, a family arrived to pick up their food and the mother returned the paper sacks from their pick up the previous month. Even the paper bags are treated with care. It’s pretty amazing to see. While I was there, I mostly helped with carrying boxes of groceries out to the waiting cars in the parking lot. I noticed that most people were reluctant to let me help and I get the impression that they would have preferred to carry the groceries themselves as a simple gesture that they were committed to earning their food. Sometimes it’s hard to know whether your help with carrying groceries is perceived being helpful or if it’s just another reminder that they are relying on others for help. One of the amazing things about this project is that I learn about so many things along the way. While I was there, I met the “Clothing Man.” Bob Boord had been living an unhealthy lifestyle and had a heart attack several years ago. After that experience, he decided to give up smoking and spend the money on a worthwhile hobby. The Clothing Man drives around town buying up clothes at garage sales. As the story goes, he collects up the clothes, sorts them in his garage, and then transports them to a warehouse near Winchester. He periodically loads up his van and gifts the clothing to local groups like Catholic Charities and MIFA. What an incredible man! I met him briefly but learned his story from Mrs. Anderson and I hope to track him down for a future blog post! 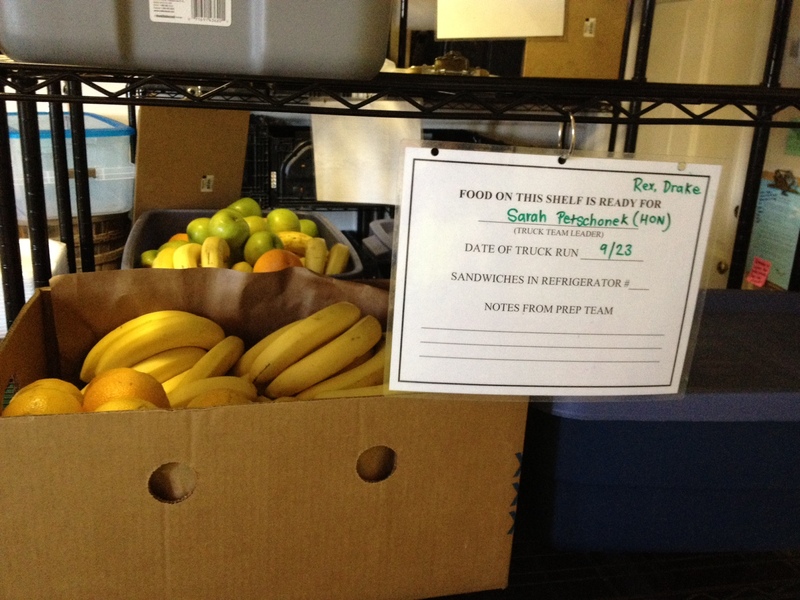 It’s people like the Mobile Pantry team and the Clothing Man who are making a difference in our community. Therese Gustaitis agrees and explained that a strong volunteer base enables Catholic Charities to reach many more people even with limited resources. Grant something from their wish list: Appliances, Furniture, Recreational Items, Linens, Clothing , Kitchen Items, Personal Hygiene, Consumables, Baby Items. Call (901) 722-4797 to make a donation. I’m going on a trip across the country and I want to take you with me! After the the conclusion of Mission Memphis, I’m embarking on a new journey: Volunteer Bound! I’ll be volunteering and blogging my way across America with the goal of promoting volunteerism from coast to coast. As with Mission Memphis, I’ll be chronicling these experience in real time so you can be part of this cross-country volunteer adventure and learn what you can do as a volunteer to combat hunger in America. Volunteer Bound starts from Portland, Oregon the first week of December and ends in Jacksonville, FL shortly before Christmas. Sponsor Volunteer Bound! We’re looking for sponsors to fund our project and we’d love to have your support! You can donate on IndieGogo. Our goal, $7,241 will fund this project and future work promoting volunteerism. If this seems like an odd amount, you’re right! This figure is meant to remind you (and me!) that every dollar makes a difference and every little bit helps! Sponsorship levels and details coming soon. Email me at sarah.petschonek@gmail.com to discuss sponsorship opportunities. For as long as I can remember, I’ve wanted to feed people who were hungry. When I was young, my parents and I would organize food drives in our neighborhood and collect donations in our little red wagon. The salient part of this experience was not just going door to door in the Florida summer heat, but the fact that my parents took the time to explain why we were doing it. They told me that I’d be surprised by the people who visit the Mandarin Food Bank. They might be the people next to us at the park or even one of the kids sitting next to me in class. Their message was profound – you never know what hunger looks like. As if that wasn’t already a lot to absorb as an eight year old, they explained that there are many people who work really hard, but still can’t feed their families. It’s not for us to judge. It’s just our job to help. Someone once told me that other cultures have the reverse of our birthday traditions. Instead of getting on your birthday, you spend the day giving and I loved this idea. Each year, I like to spend some time volunteering on my birthday and most recently I decided to spend that time with the Mid-South Food Bank. As part of this project, I went back to the Mid-South Food Bank to help and learn more about their organization. A lot of parents have asked me about volunteer opportunities for their children at the Mid-South Food Bank, but sometimes sorting cans in a busy warehouse is not the best way to help children understand the concept of hunger. Thankfully, Paula Rushing, the volunteer coordinator at the Mid-South Food Bank, understands this dilemma – the desire to expose children to hunger and poverty in a way that is salient for them. Paula offers a program called the “Budget Experience” where children are given play money to spend during the course of the exercise. Then life happens from their tight budget, there are unexpected expenses – a hospitalization, a roof leak, car repairs – which eat into their budget. After shelling out cash for the necessities, the kids are asked to shop for enough groceries to feed their family for a week. After they complete their trip to the grocery store, Paula helps the students assess their spending habits, and their food choice: do you have enough food and did you purchase healthy food. In addition, the students watch an excellent video from Sesame Street and PBS called Growing Hope Against Hunger, which presents the idea of childhood hunger in a way that’s accessible for children. While I was at the Mid-South Food Bank, I had the opportunity to talk with their Director, Estella Mayhue-Greer. Estella is very polished: poised and confident, each word is selected carefully and each sentence is constructed thoughtfully. Everything about Estella says confident, capable, and passionate. When I asked her about the mission of the food bank and the importance of their work, I expected her to quote some stats about hunger in the Mid-South and how many pounds of food they distribute. Instead, she opened with a story. “When I was in second grade, I remember eating dinner and asking my mom why she wasn’t eating with us” and it wasn’t until later that Estella realized her mother was passing up the opportunity to eat in order to make sure her children were fed. I looked at Estella intently. I would never have guessed that about her. And that’s the point – you can’t assess need and hunger just by looking at someone. We need to start thinking differently. The face of hunger has changed. Many people are doing everything they’re supposed to do to make ends meet and they’re making hard decisions about how to spend their money. Stop holding onto their food. It’s not your food and you’re not the food police. I said the only thing that came to mind: “I hope I’m never on the receiving end of one of your speeches.” She laughed. I meant it! Now I feel that I should confess something to you. I volunteer in different food pantries around the city and I am always quick to carry groceries for someone, because it gives me an extra opportunity to get to know people. Recently, I took food to someone’s car and noticed that their car was really nice and I made a snap judgment. I remember thinking “Why do you need the food pantry if you drive a car like that.” I’m mad at myself for entertaining that thought for any length of time even if it was only a split second. . As Estella reminded me, they might have borrowed that car from a neighbor in order to pick up their food. That car might be their last possession. It might be their only source of shelter. Sometimes I make snap judgments even when I don’t mean to, but I’ve realized that the more I volunteer and the more people I met, the more compassionate I become. Do you have an hour to give? 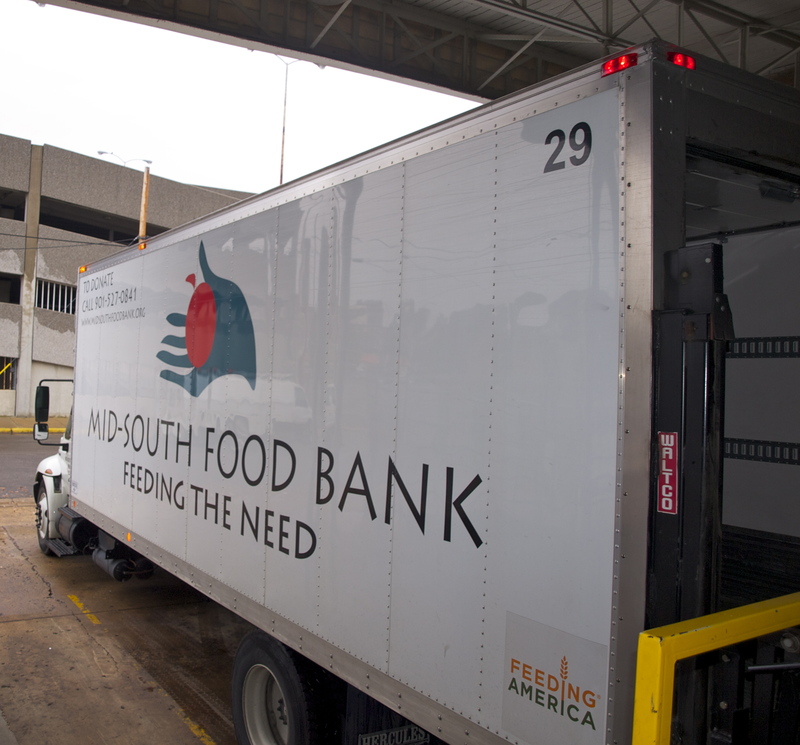 There are so many ways to volunteer at the Mid-South Food Bank! You can work in the warehouse, on Saturdays, as an individual, or as a group. You can also do clerical work, help with the backpack program, or help with special events. There are many rewarding ways to be involved. 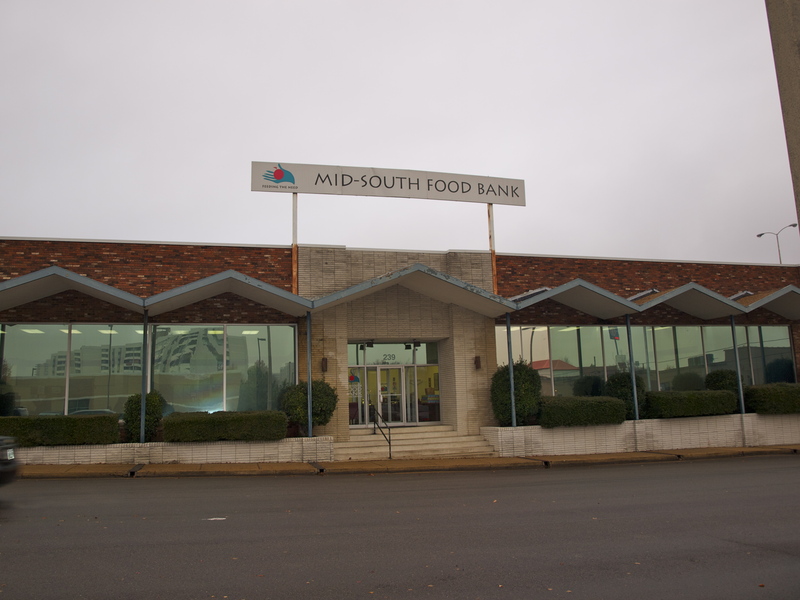 It’s important to note that the Mid-South Food Bank does NOT have client-facing volunteer opportunities at their main headquarters. 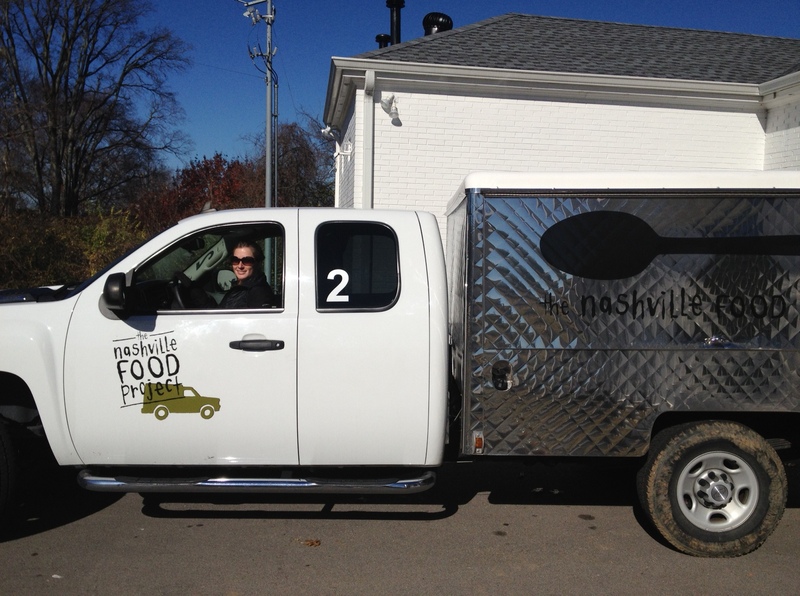 If that’s the experience you’re looking for, please contact a local food pantry – they’re in every area of the city including Collierville and Germantown. Help Paula facilitate the “Budget Experience” courses for kids, with more than 5,000 volunteers a year, this coordinator could use an extra set of hands to help with some of their programs. Contact Paula Rushing prushing@midsouthfoodbank.org about volunteer opportunities. Donate! The Mid-South Food Bank can stretch your dollar! For every $1 you donate, they can purchase $4 worth of food! Can you spare a dollar? How about ten dollars? Educate! 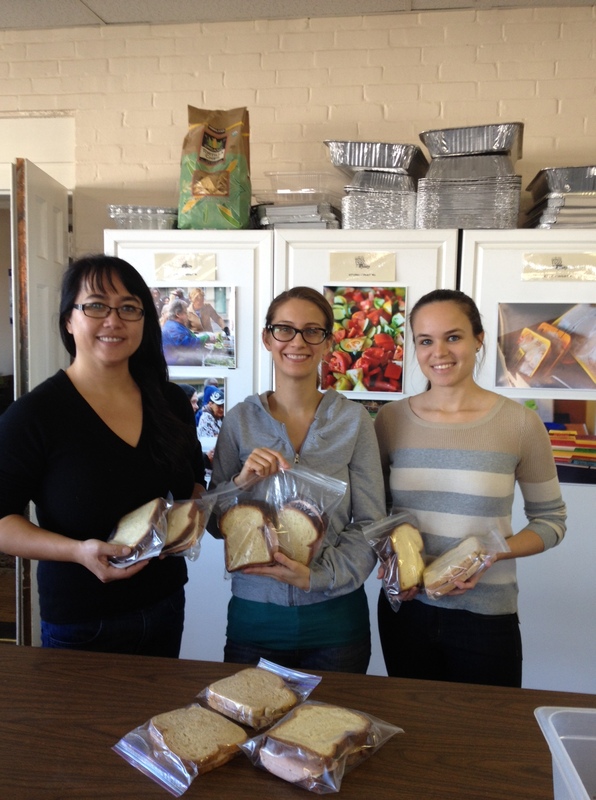 Teach yourself, your family and your friends about the widespread problem of hunger insecurity. Learn the facts about hunger. Participate in a special event like one of their upcoming food drives. The St. Vincent DePaul soup kitchen has been running in an old radio station on Cleveland and started from humble beginnings. Local church members handed out a few sandwiches from an old popcorn stand. The demand has grown and 200 people a day come to St. Vincent DePaul in search of food and clothing. 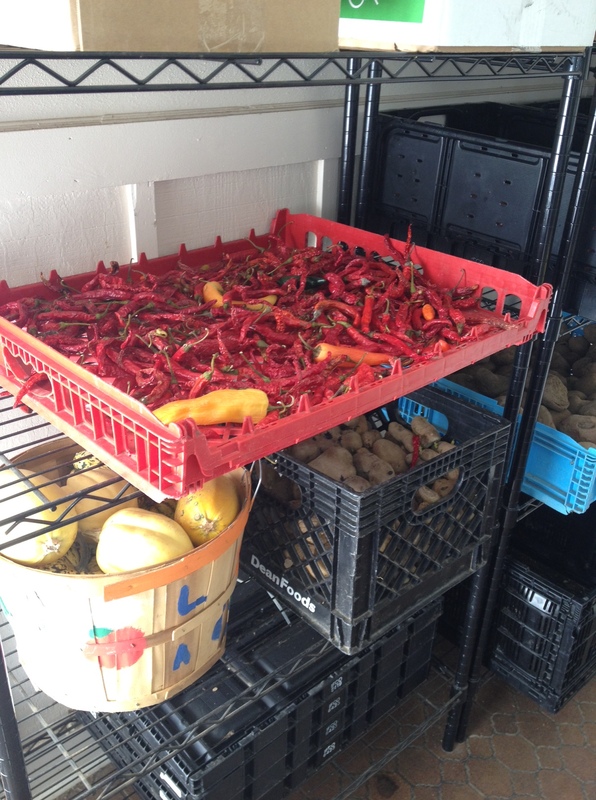 As you can imagine, you need a large kitchen and a lot of space in order to feed so many people and this organization has been looking to expand, but the process was complicated for many reasons. First of all, they wanted something within easy walking distance of the current location because so many people have come to rely on the services in that area. This restriction dramatically limited the viable options for expansion. 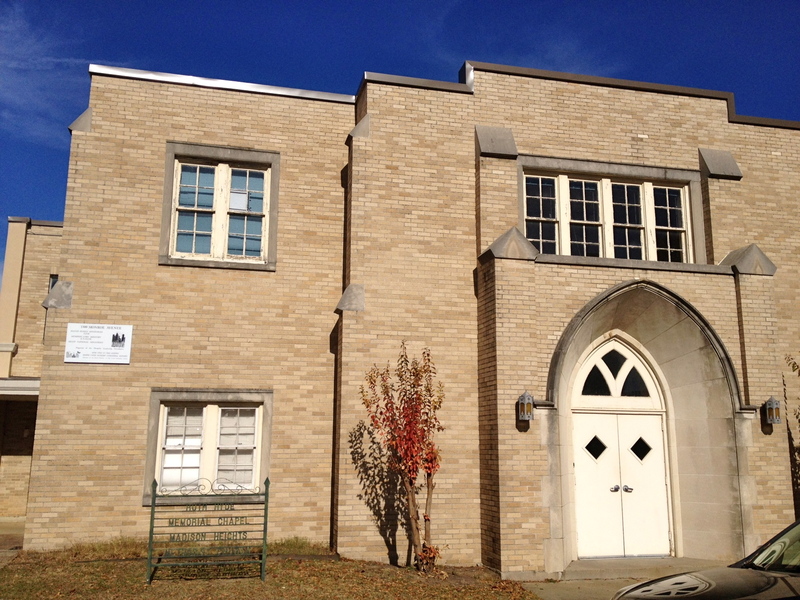 In addition, many of the businesses in the area will protest the addition of a soup kitchen because it “draws the wrong crowd” and “scares the customers.” After a lot of searching, St. Vincent DePaul secured a space (within walking distance of their current location) on Monroe just off North Cleveland. The great news is that the building will be large enough to provide for hundreds, but there’s a lot of work to do, including constructing a kitchen from scratch. I spent the morning washing down the walls so a team of volunteers from GE can paint this week. The work was straight forward, but the highlight was talking to the other volunteers. While I worked and scrubbed with Marsha, I noticed that there were two teenagers there helping. To be honest, I expected to hear them grumbling about the fact that their dad had dragged them in on a Saturday to get their mandatory service hours. What I found was something entirely different! I told the group about my project and asked if I could talk with them for my blog and they agreed right away. I learned that Merryn (12) and her brother Logan (17) really enjoy volunteering and that they participate regardless of the service hours. I was so impressed with both of them! They were so focused and mature! When I asked about why they enjoy it, the responses came pouring out. Logan said “We come from a really privileged area and we don’t normally get to see a lot outside of our bubble.” He said that he’s been volunteering for several years and talked about the first time he remembers seeing true poverty, “I had no idea that people could live like that. People with nothing would come in with a smile on their face to get their only hot meal of the day. They didn’t just leave smiling – they came in smiling. If I was in their position, I’d be coming in grumpy” he told me. I looked at their Dad, Fritz, in awe. Almost without thinking I asked what he did to get his children to turn out to be such incredible people. He looked a bit bashful and uncomfortable with the praise, although just below the blushing I could see that he was beaming at his kids. He explained that they tried to raise their children to be compassionate and grateful. He attributed a lot of it to prayer, church, and talking with them about empathy and helping others. After a short pause, Logan jumped in. “I’ll tell you what did it for me. When when were younger, Merryn used to call me a ‘little boy’ and it drove me crazy because I wanted to be a grown man. I looked to my dad and he talked about what real men do – helping others but not for honor or glory – when no one else sees you but God sees you.” This comment from Logan prompted Frtiz to add that he and his wife used to donate and volunteer very quietly – so quietly that even their kids didn’t know the extent of their work. “But we realized that while we don’t want the glory, that it’s important to model the behavior that we want from them. Sometimes we see Logan sneak money into the basket at church. I think he thinks that we don’t see him do it but we know.” I looked over at Logan and realized that he had inherited his dad’s bashfulness. Sometimes the most incredible thing about a volunteer experience is someone you meet along the way. In this case, three amazing someones. Volunteer! Contact Dan Label danieldjl@aol.com to volunteer at the current soup kitchen. 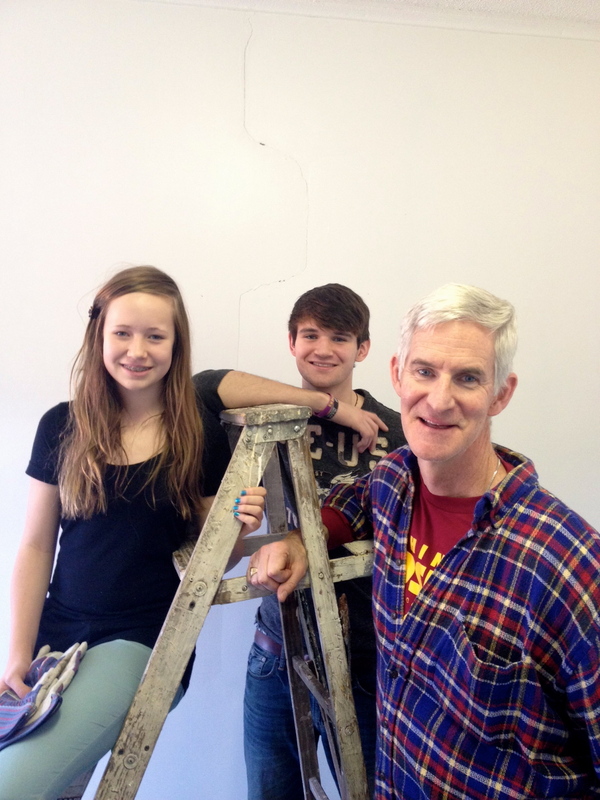 Contact Peter Giannini gian57@bellsouth.net to renovate the future soup kitchen location. Donate! Every bit helps and your money goes to a very worth cause. Contact Peter Giannini to donate kitchen supplies or equipment to the new facility.